﻿ Cathedral Building in Oakland California - Tall and Slender! 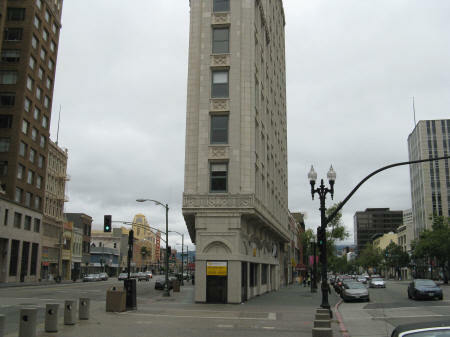 The Cathedral Building in Oakland California is the tall, skinny building located at the intersection of Telegraph Avenue (left) and Broadway (right). A number of tourist attractions can be found near the Cathedral Building, including the Fox Oakland Theatre and the Paramount Theatre.